Bespoke designer kitchens in Essex. High quality appliances, innovative kitchens designed, supplied and fitted locally. At Lower Barn Design Studio, we put emphasis on design, working with you to ensure that we make your dream kitchen a reality. Based in Rayleigh, Essex, our showroom showcases the best workspaces and appliances across five distinct rooms. We all know the kitchen is the heart of your home, so ensuring that yours reflects your personal needs and tastes is vital. 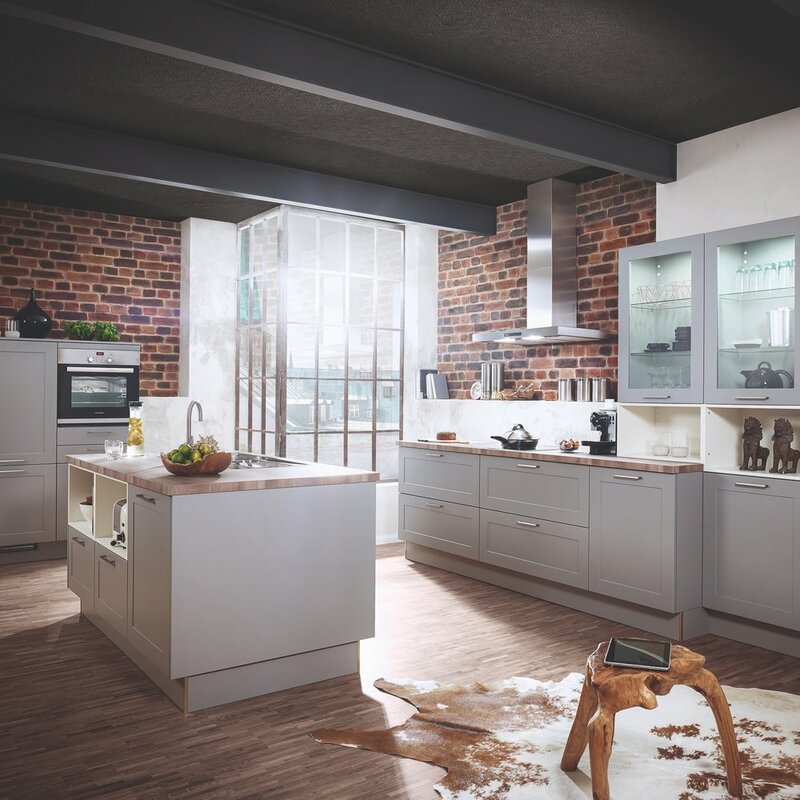 We have a good selection of modern and classic Germany kitchens as well as traditional English kitchens, with plenty of room to adapt and improvise between. The designing starts now. Our contemporary kitchens feature cabinets and drawers that are available with multiple lighting solutions. We offer a wide range of coloured cabinet interiors, combined with gloss, matte or textured doors. It’s all about sleek designed work spaces, integrated appliances, Wi-Fi operated gadgets, essentially when it comes to cabinetry the sky is the limit. Our classic kitchens offer rigid cabinetry with solid backs, in varying height and worktop options, there are in excess of 600 cabinet options available. All drawers are soft-close, and drawer boxes are available in options of metal, glass or hand-jointed, dovetailed wood. 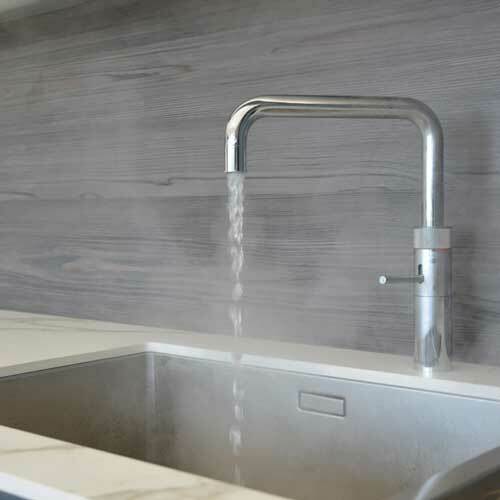 A range of handle choices and door options will give you a truly unique space, with a variety of sink and larder options to suit all your needs, - it’s a style that stands the test of time. A great kitchen is the culmination of high end units, quality appliances and fixtures brought together in a design based around your needs. It’s all about making your life that little bit easier, which is why we have chosen only the best appliances, sinks and worktops to compliment our cabinets. 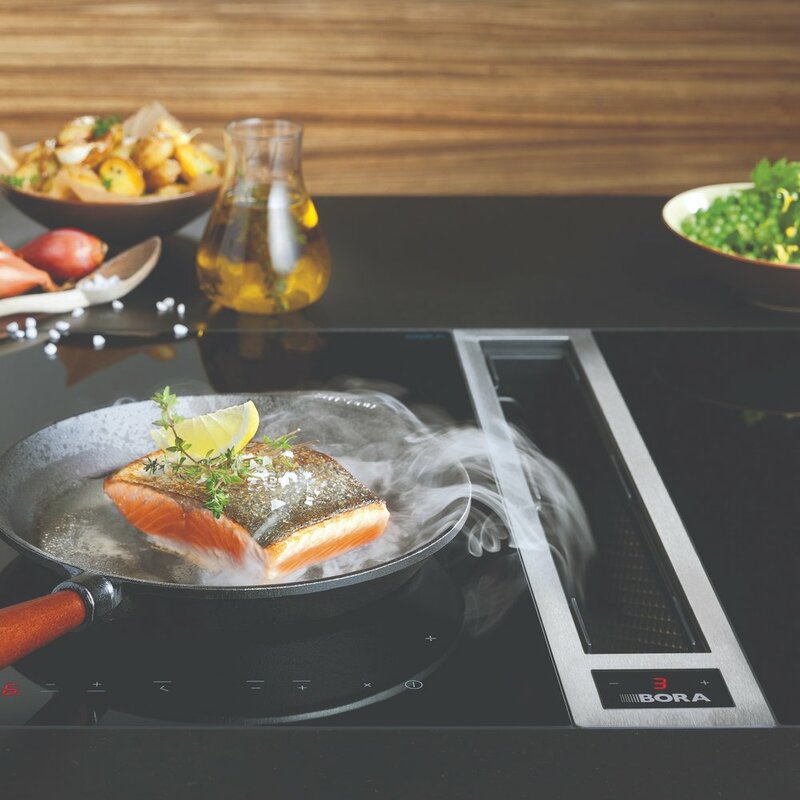 Offering some of the finest appliances available, from the Bora induction hob with cooktop extractor to WiFi operated ovens by Siemens and range cookers from ESSE and Everhot. Choose from natural granite, marble, solid wood, porcelain tile, and Corian for your worktops. We’ve got hundreds of options to choose from to personalise your kitchen to your home. Set in rural Essex, our five large rooms showcase our high quality German and English kitchens as well as our fully operational unique appliances, storage, flooring and lighting solutions. All the lighting and flooring throughout the showroom are available from the design studio. Come down and speak to one of our sales consultants today about your requirements and see our design studio for yourself, you might just walk away with your dream kitchen.